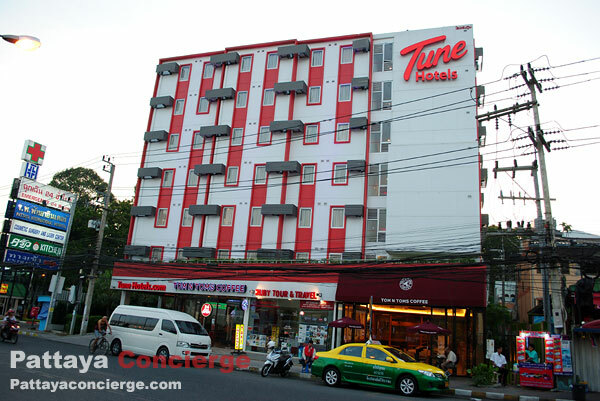 Tune Hotel is an international standard budget hotel, where there are many branches around the world, including Pattaya. 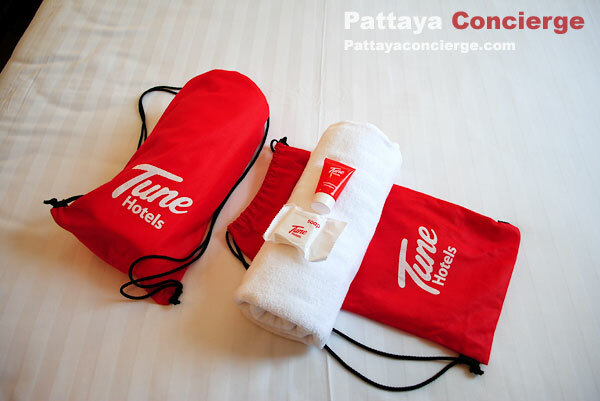 For Tune Hotel Pattaya, it is situated in a great location because it is in the city area, not far from shopping center, convenient stores, Pattaya beach, and attractions as Art in Paradise as well as Alcaza. Guests can visit the hotel by Public transport. 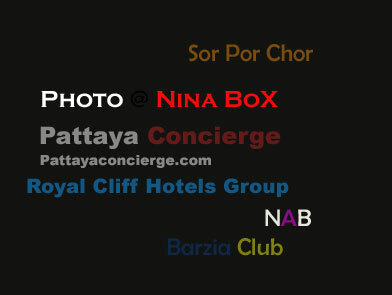 Tune Hotel Pattya is 7-floor building with 192 rooms. 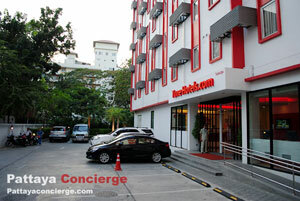 The ground floor is the lobby and next to the building, there is a small car park for guests but charged for 200 Baht. The hotel is decorated in white color and modern style. 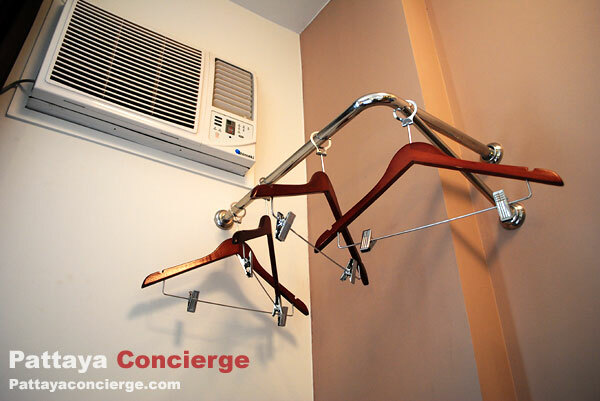 Every room has the same standard and the same facilities. The difference is only twin beds or double bed. The management of this hotel is not the same as the majority of hotels in Thailand. It separate room price and facility price for guest. In other words, apart from the price for the room, guest needs to buy facilities that they want such as Air-conditionng, Internet WiFi, towels, and so on. For the room in Tune hotel Pattaya, it is clean but small (not much space around the bed). However, the room is not much uncomfortable. This is perhaps because the large mirror decorated next to the bed and efficient space usage (folded table on the wall, hairdryer package sticking to the wall, hanging corner, LCD TV, and ceiling fan). 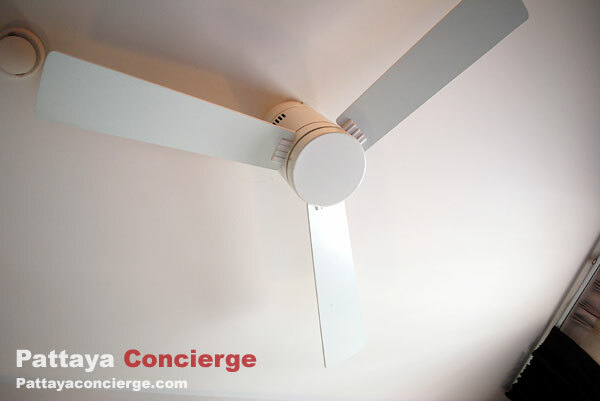 However, because of its small size, there are no cupboard and refrigerator in the room. 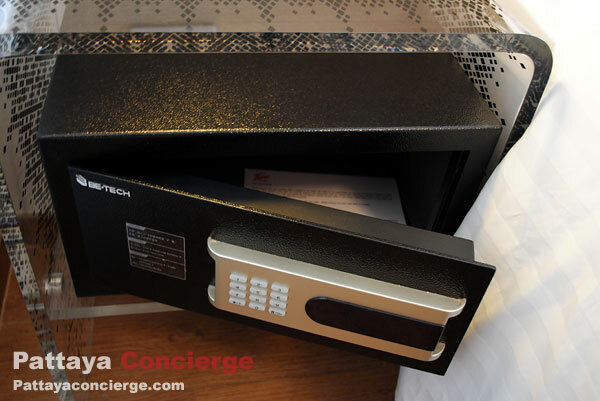 As mention above, guest need to buy in-room facilities that they want. However, there is another option to get the room with full facilities – booking via Agoda. 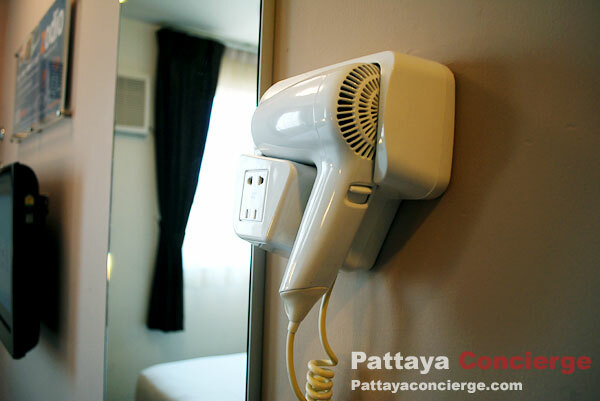 To get a room via Agoda, guest can get air-conditioning, TV signal, Internet WiFi, Towels, Soap and Shampoo packed together in the hotel bag. After checking with the staff about walk-in price (included full facilities), Agoda price is also cheaper. 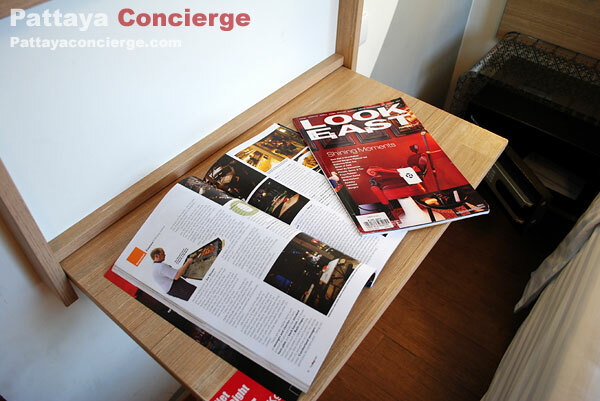 However, other agencies like Booking.com or Expedia.com would also offer the room with facilities. 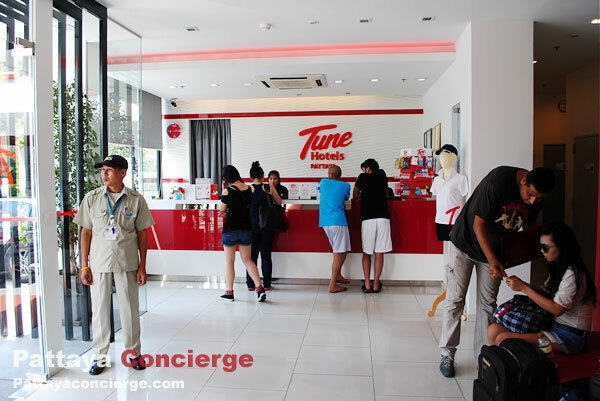 Note that the check-out time for Tune hotel Pattaya is only 11 AM (electronic automatically turned off after that). Those who would like to extend the time can contact to the staff, but guest need to pay 120 baht for extra service -the check-out time will then postpone to 2 pm. - Reasons: Great location, not so expensive (because of often offering promotions), but no refrigerator, complementary water, and the bed a little smaller than standard. This hotel seems to suit for those who do not have a car, but for those who own a private car, Tune Hotel Pattaya might not be an interesting choice because of small space for parking and charged for 200 Baht.